Signals wants to help address the gender imbalance in the tech industry, where women currently only represent about 17% of the workforce. 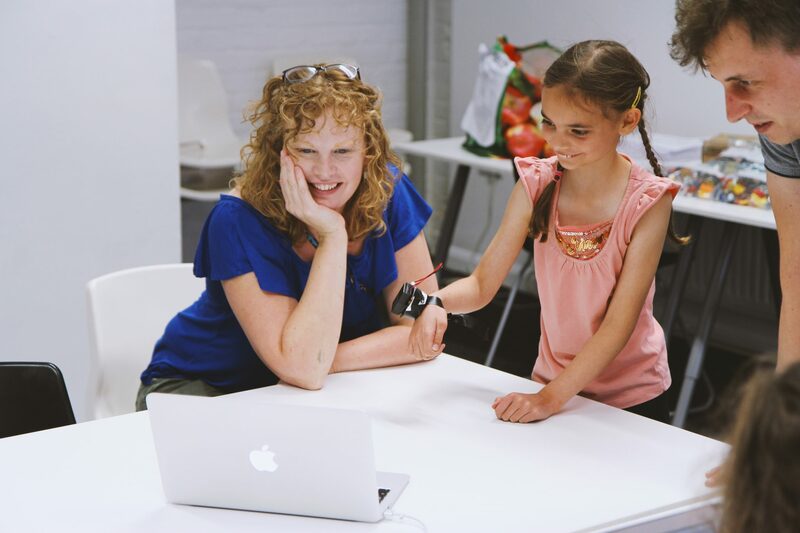 In Spring 2018 we started our first Girls Only Creative Coding Club to encourage girls to experiment technology in a safe and welcoming environment. We worked with creative technologists Dave Norton and Emily Godden to run 6 sessions exploring a different creative technologies, from coding generative artwork to building musical robots. This course was made possible with funding from Essex Community Foundation, Big Lottery Fund and a special donation from Kim Adcock – Managing Director of OPM Jobs. As with all our creative computing workshops at Signals, we always try to get creative both in and out of the computer. As fun as game design, artwork and coding can be – its also really important to get physical with craft materials. Not only is this a ‘way in’ for somebody less computer literate, but it also helps foster collaboration skills by encouraging people to work together. On our ‘Musical Robots’ workshop we challenged the participants to create unique instruments with only servo motors and a box of percussion and some small instruments, check out the highlights video below. Designed, coded and constructed in under an hour! These musical robots were created by our Girls Only Creative Code Club members, using @microbit_edu, @Kitronik servo motors and a selection of percussion. Throughout the course we worked with the participants to complete their Bronze Arts Award, part of which is the ‘Be The Audience’ section. We invited digital media artist Sian Fan into the studio to showcase her AR/VR installation Rituals which the participants all had a go at. We then spent some time talking with Sian about her influences and how she went about designing the artwork in Unity. The students then reflected on Sian’s art work in their arts awards books, considering what they liked and what they would change. Want to be the first to hear about new workshops? 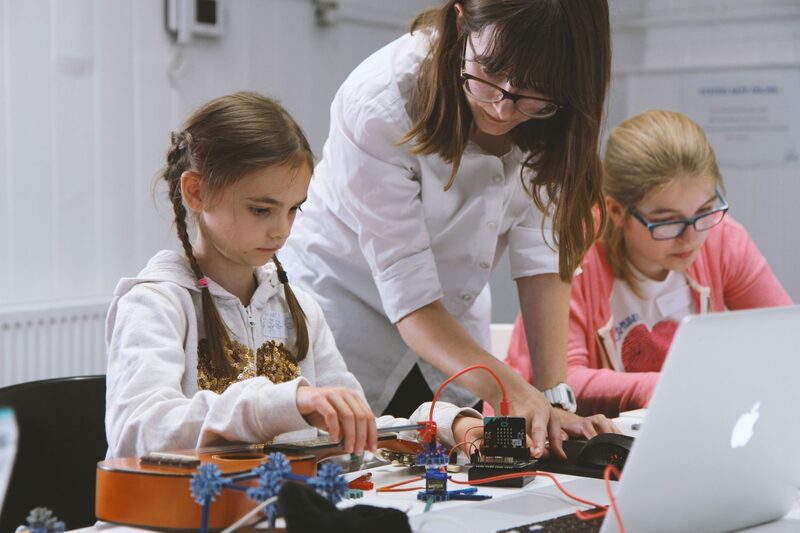 At previous creative code clubs, they’ve been focused towards a single goal – such as last terms where we developed a musical robot to display at the Plug In event. This time, partially due to its limited number of sessions, we instead chose to explore didn’t topics each week lead by the interests of the participants. Then inviting to take the last session to make whatever they want and share it with their parent or guardian at a final showcase. Despite the short length of the course, it was an overwhelming success and the feedback has been overwhelmingly positive. It was also a fantastic opportunity to work with artist Emily Godden, one of the development artists from our 2018 Plug In festival. 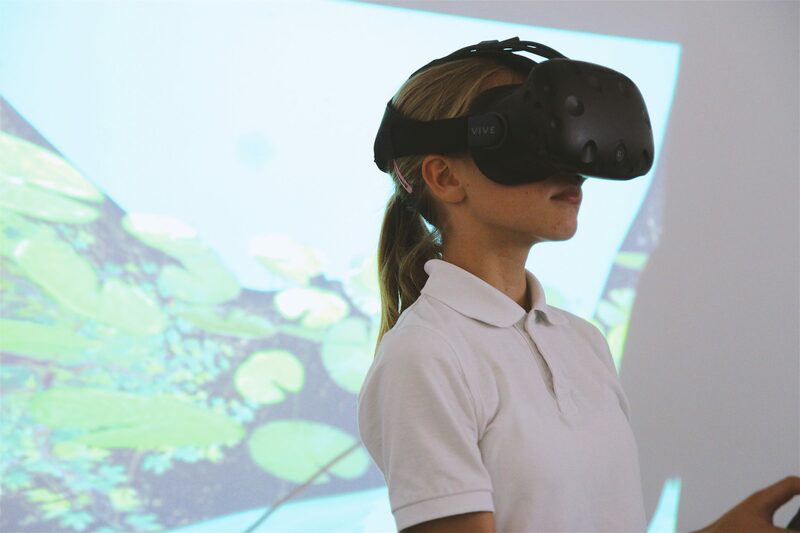 We’ve become increasingly aware of the gender imbalance at some of our technology workshops – so its through courses like this we can hopefully encourage more girls to get creative with technology and address the gender imbalance in the tech industry.